QuickQuick — Sasso & Co. In a time when newsstands are fast disappearing from street corners, QuickQuick doubles down as a modernized version of the concept. This "newsagent and boutique bodega" located in Atlanta's Ponce City Market boasts the city's finest collection of culture periodicals from around the world and an equally curated stock of daily essentials. Think snacks, smokes, soap, soda and more. The QuickQuick team came to Sasso & Co. with a very specific vision for their logo supplying visual references of liquor store neon and 70's convenient store chic. While nostalgia definitely factored into the early stages of visioning, it was essential that QuickQuick push beyond homage and create a timeless look and feel of its own. 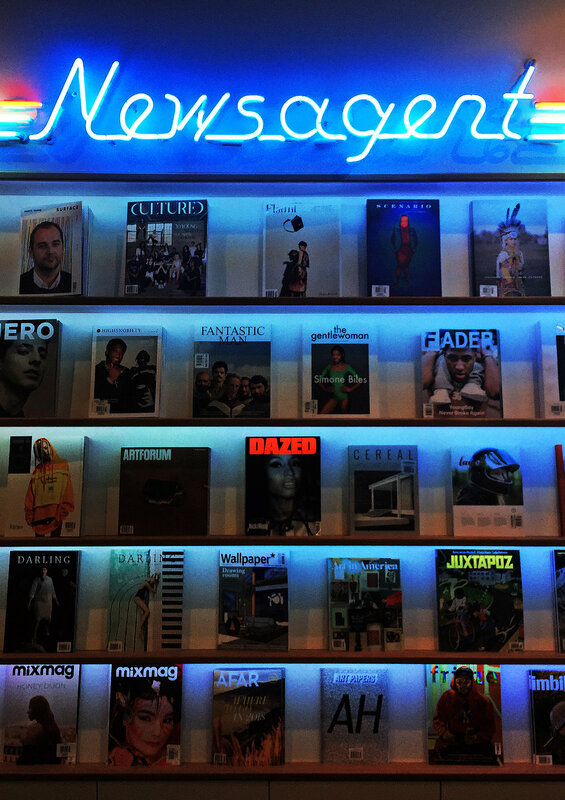 Magazines, products and brands that would appear in the store were constantly considered alongside QuickQuick identity concepts to ensure they'd complement one another. The QuickQuick team also wanted a brand strong enough to stand on its own, outside of a physical location; a brand that aggregated the culture detailed in the store's many authoritative magazines and could be easily activated in other mediums, products and events. The longterm vision for QuickQuick is ambitious. We developed a brand to match.